Sponsored | Aside from mindfulness and holidays, caring for my skin a very important way for me to engage in daily self love. I consider my skincare regime to be precious alone time, a time to really look after my body. I’m sure you’ll agree that there’s something so satisfying about loving and being kind to your skin. So I’ve teamed up with sustainable skincare brand, REN, on a huge GIVEAWAY! REN are one of my favourite skincare brands that I’ve been using on and off for years. I always remember when I first heard of them too. Employed by ELLE I remember marvelling at their innocence and dedication to protecting our planet. I knew they were about to become a massive brand. You can just tell from the amazing results and the well thought out ingredients. 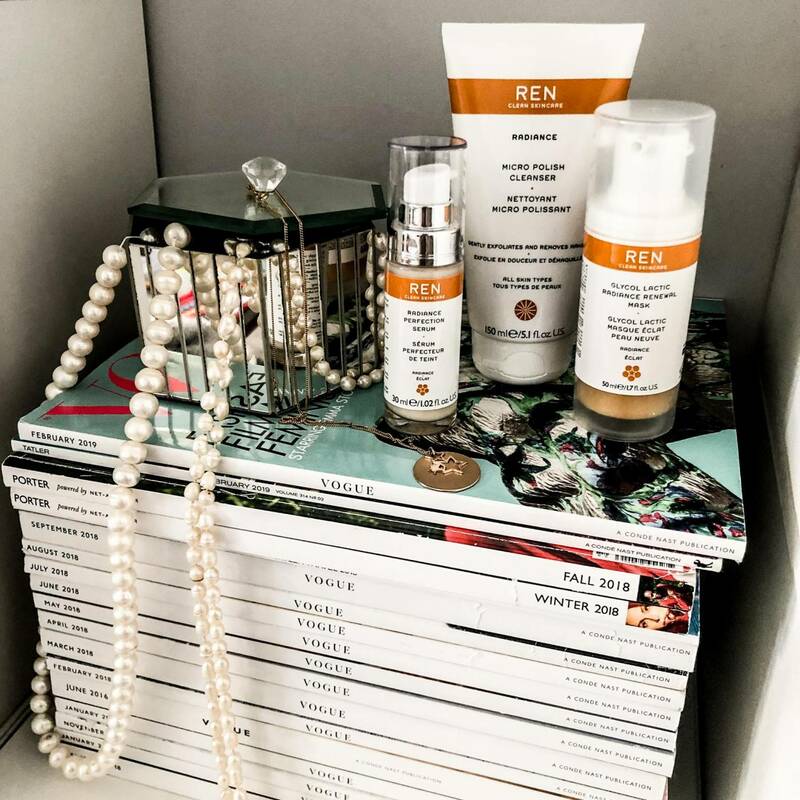 As a self confessed beauty junkie I love nothing more than delving into new products, in this instance the REN Radiance range (complete with Vitamin C and Magnesium, both famed for their benefits to skin). Many may scoff at such a statement. However, I believe the pursuit of great looking clean skin can be like a little self love project. Whether I’m targeting blemishes or new skin concerns (oily t-zone anyone?) wiping, massaging, swiping and priming my face is so cathartic! For the past few weeks I’ve began ‘my bathroom time‘ (yes, that’s its name in our house) with the amazing Daily AHA Tonic. It’s so popular that even when I posted it on my IG stories, so many of you replied and said how impressed you are with it! I mean, look. Look at how much dirt came off my face even after double cleansing that morning (below). Yikes. I have rather sensitive skin so I tend not to use this every day. But when I do it instantly makes a noticeable difference. It includes AHA and Lactic Acid which encourages cell turnover. They dissolve the bonds that hold dull, dead skin on the surface. It exfoliates the skin and minimises the look of pores – all the while leaving skin super bright and hydrated. Whenever I use this I don’t wear foundation that day. There really is no need. I rarely credit any product that allows me to do that! My usual routine also includes the Micro Polish Cleanser. It contains natural bio-actives like Glycolic Acid from Pineapple to exfoliate, Papain from Papaya to remove dead skin cells and Amber Microbeads from Amber Powder to life away the dead cells and leave a smooth surface. If I’m using the AHA Tonic I tend not to bother with this. The Radiance Perfection Serum used underneath a day cream gives my skin a much needed boost in hydration and really evens out my skin tone. I don’t know about you but I normally struggle to find a serum that does both! It contains Licorice which acts as an ingredient to even out skin tone and Vitamin C to help fight pollutants. I just pop a pea size amount onto my fingers and smooth onto my face. A little goes a long way! I first used the Glycol Lactic Radiance Renewal Mask a while ago when it first launched and I couldn’t stop raving about it on social media. REN kindly sent me a top up for me to continue using and I forgot how great it is. It not only smells amazing but it has a cocktail of incredible ingredients(like Glycolic, Lactic, Citric and Tartaric Acid) that really gets to work on deeply congested skin (like mine was). 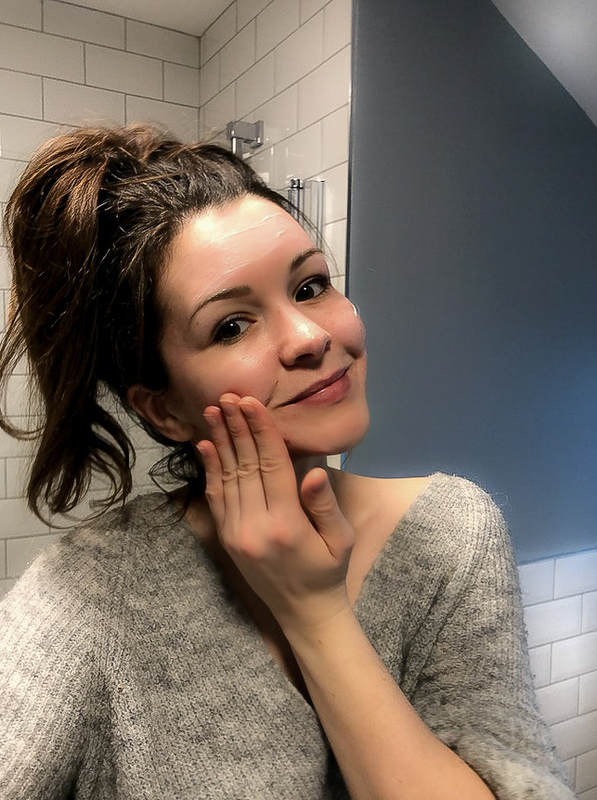 It also reduces the look of fine lines – my ‘static’ lines definitely have their good and bad days! You’ve probably already heard of the Satin Perfection BB Cream. 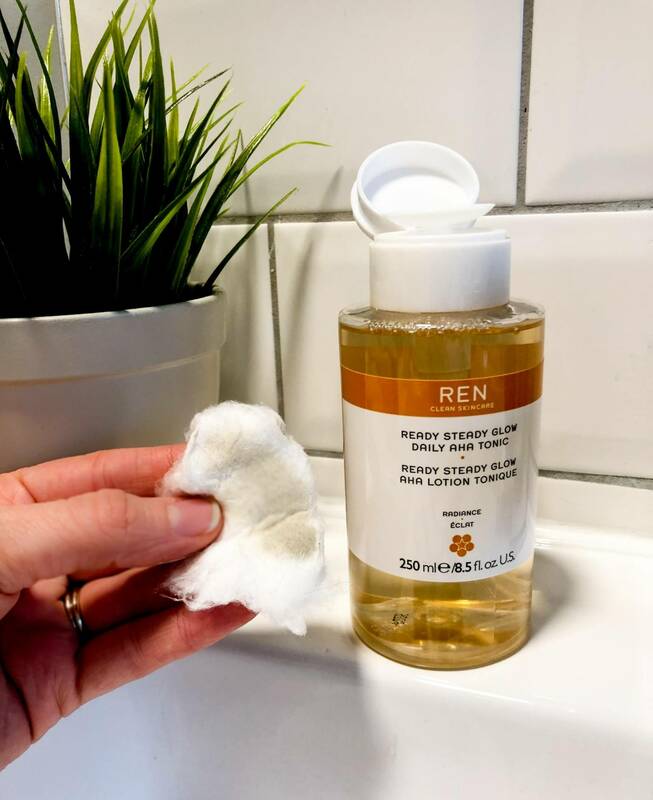 Another cruelty free wonder product from REN that actually works! I tap this on to my skin a few minutes after my skincare and I’m left with skin that actually looks filtered. I love the blurred effect that actually looks like I’m wearing primer and foundation – but without the cake look or clogged leftover effect. There’s something about an amazing scent. In fact, there’s a whole host of psychological thought behind the human brain and our reaction to smell. So it comes as no surprise that whenever I use the AHA Smart Renewal body serum, I’m transported to calmness. I don’t know about you guys but I get areas of dry skin, or skin that looks to be a little dull. Especially on my hips (damn those tight jeans). It contains Lactic Acid, Probiotic Extract and Xylitol to gently exfoliate away any dead skin to reveal silky soft, smooth skin. You know when you have super silky soft legs and you just lie in bed stroking them? Yeah, that. Last but by no means least, we have my routine for those days that are a little more, shall we say, ‘in need’. After a long day my skin can look tired and dull so I’ll whack on some of the Wake Wonderful Night Time Facial and confidently wake up the next morning knowing that my skin will look a million times better. I particularly recommend this for mums! It renews, energises and leaves skin looking fresh as a daisy thanks to the great ingredients like Lactic Acid and Cranberry Seed Oil. Probably the best £34 you’re ever going to spend! But the product that ties everything together has to be the brand new Glow Daily Vitamin C Gel Cream. 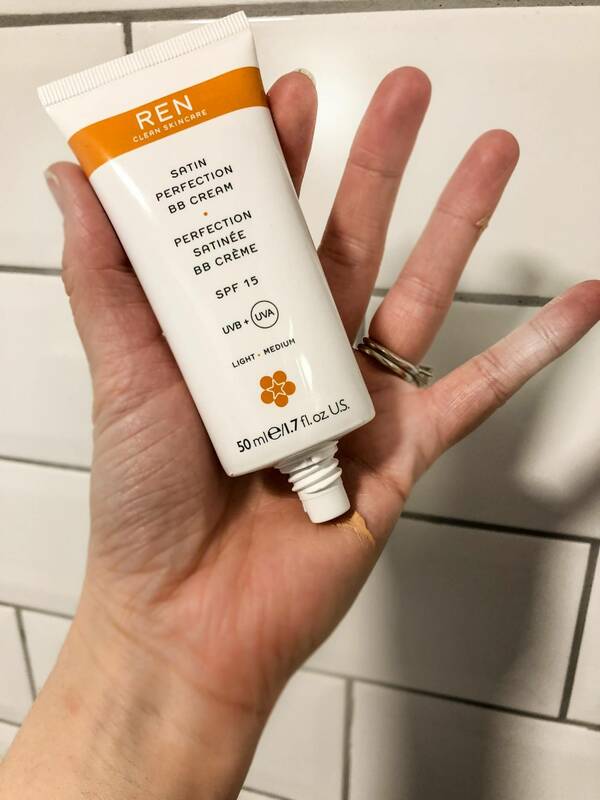 Used as a daily moisturiser, it’s the second REN moisturiser that I’ve been using since the (also amazing) Evercalm Global Protection Day Cream. It dries quickly leaving no grease and saturates my skin with some much needed Magnesium to calm, hydrate, and fight the dryness/flakiness that some skin can get in the Winter. A total daily winner in my eyes. 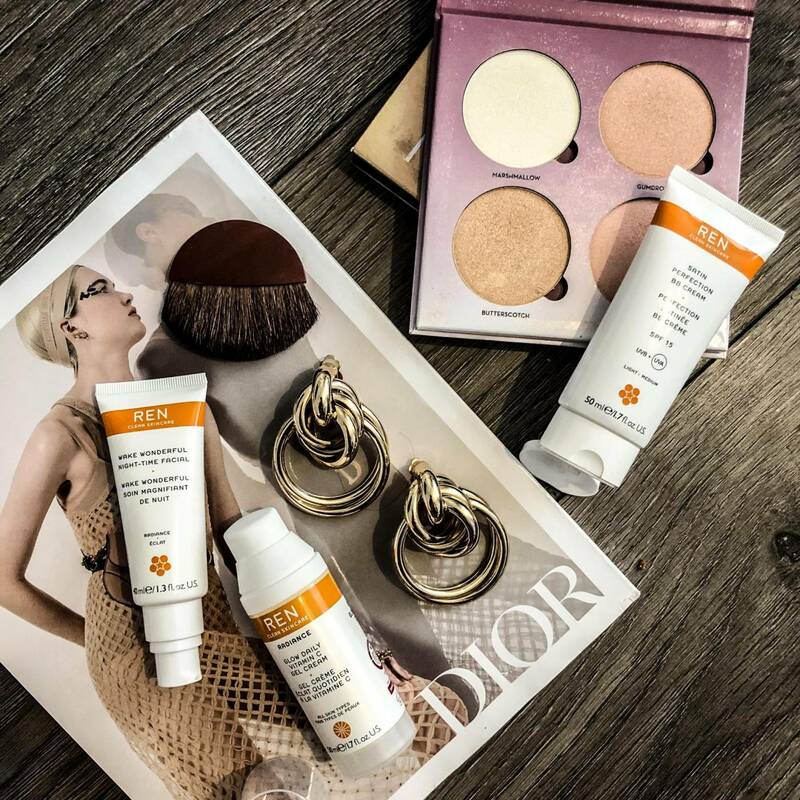 To win yourself the entire award-winning radiance range by REN (worth over £250!) head over to my Instagram 3.25pm today. Follow myself (@sassyinthecityblog) and REN (@RENSkincare) and tag a friend on my pic saying what they do (for you or to you) that makes you feel loved. For me, it’s my friend Jo. She’s a great listener, gives great advice and reminds me that I am loved. 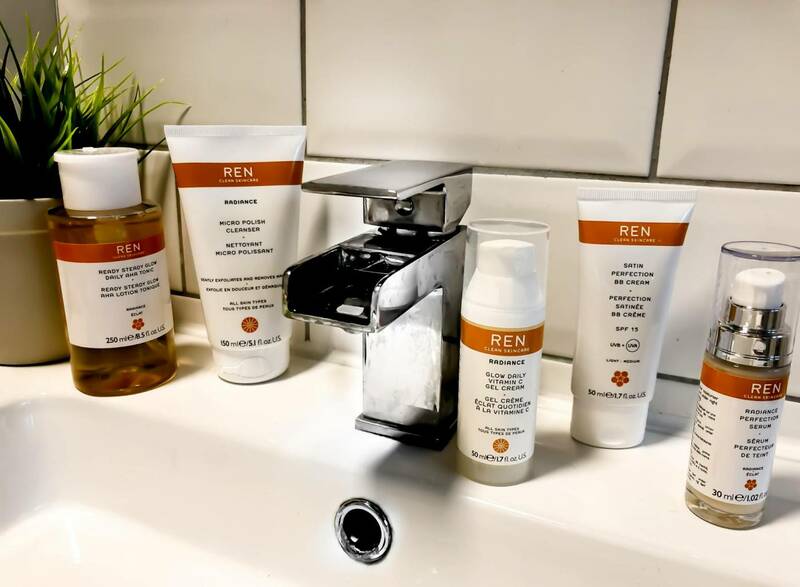 *This post has been sponsored by REN skincare but I use these products regardless and hope you enjoy them as much as I do. The post also uses affiliate links meaning that if you choose to buy the products via the link, I earn a small percentage. Like very small. Teeny even. Oh I really want to try Ren products!